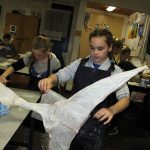 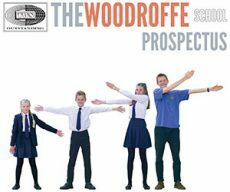 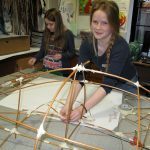 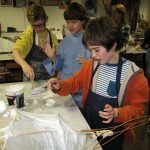 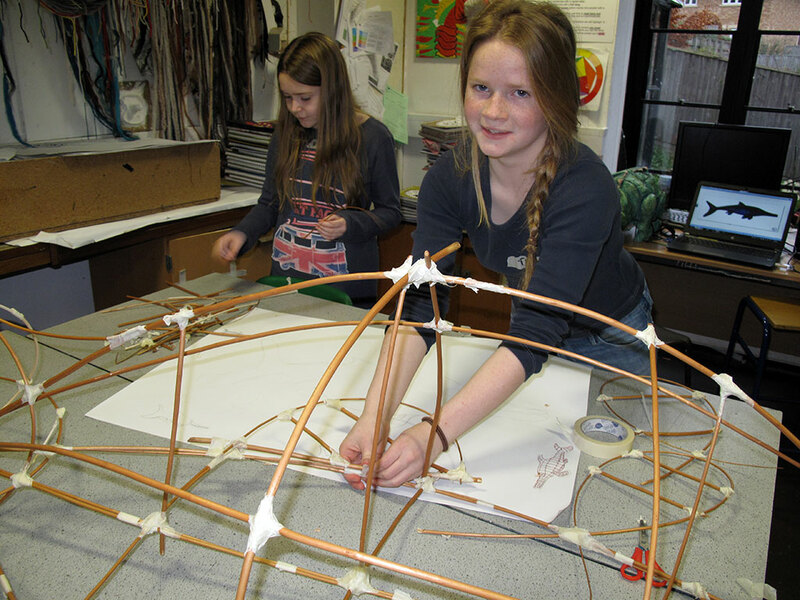 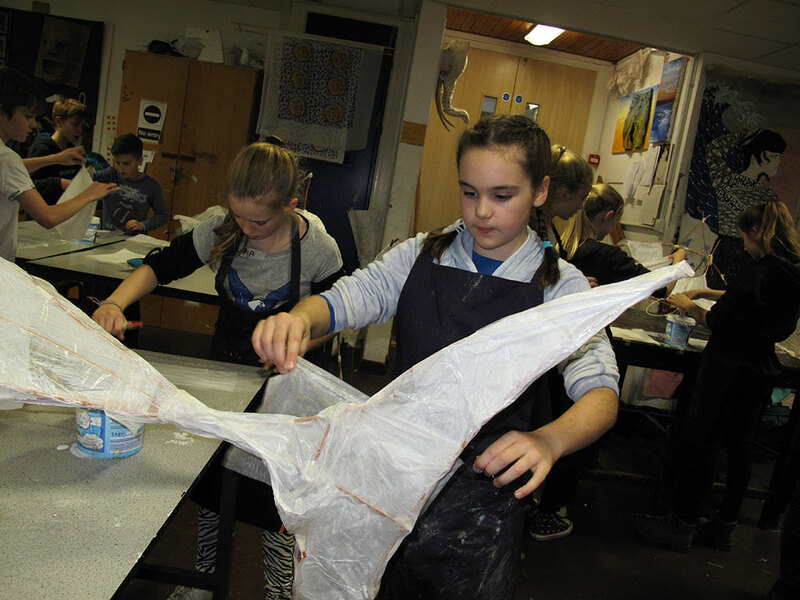 Last week 30 artists from Year 7 were selected by their Art teachers to take part in a workshop sponsored by the Arts Council for Lyme Regis museum extension project. 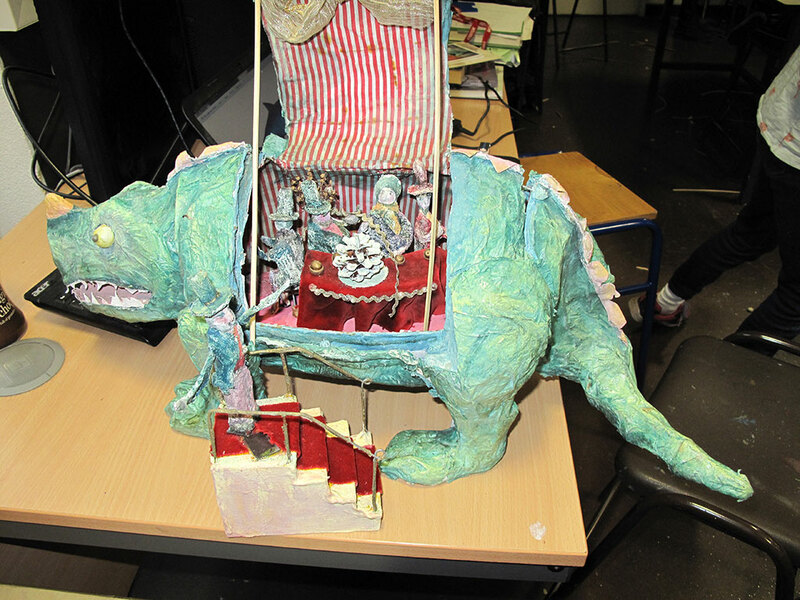 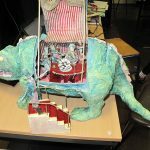 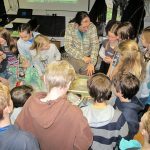 After Sarah Butterworth brought her 30′ long iguanadon and performed a play about the first fossil collectors last month, we have now had a follow up workshop where the students learnt even more about fossils and animals that lived in the Jurrassic period. 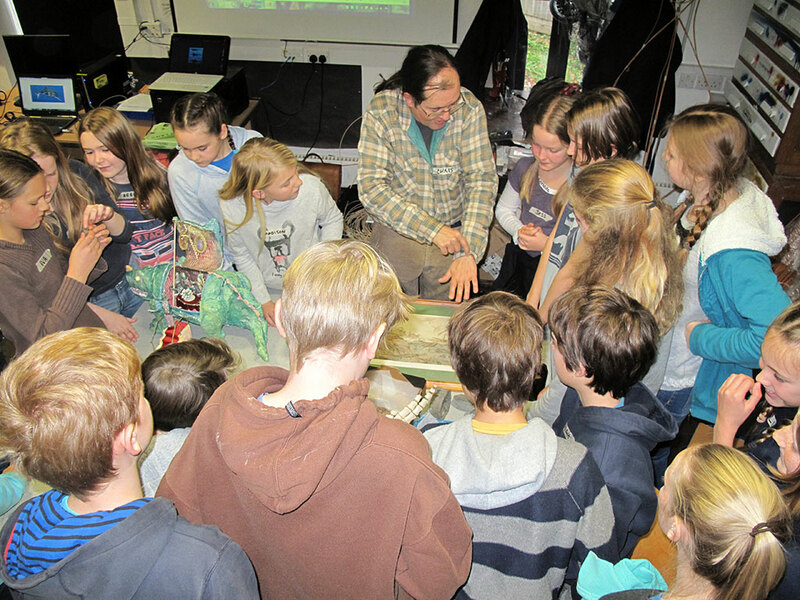 Chris Andrews from the museum brought a whole range of specimens and explained all about how they were found and the sort of animals they were. 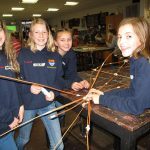 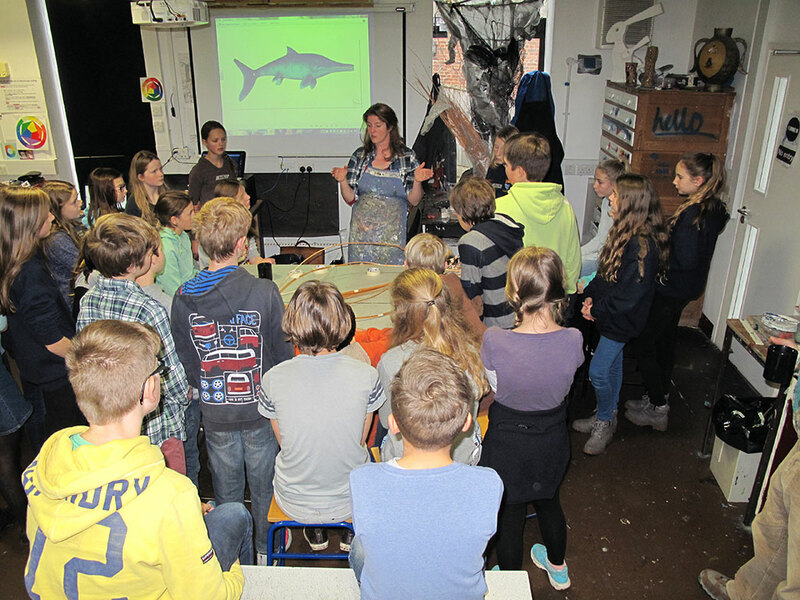 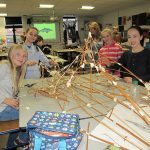 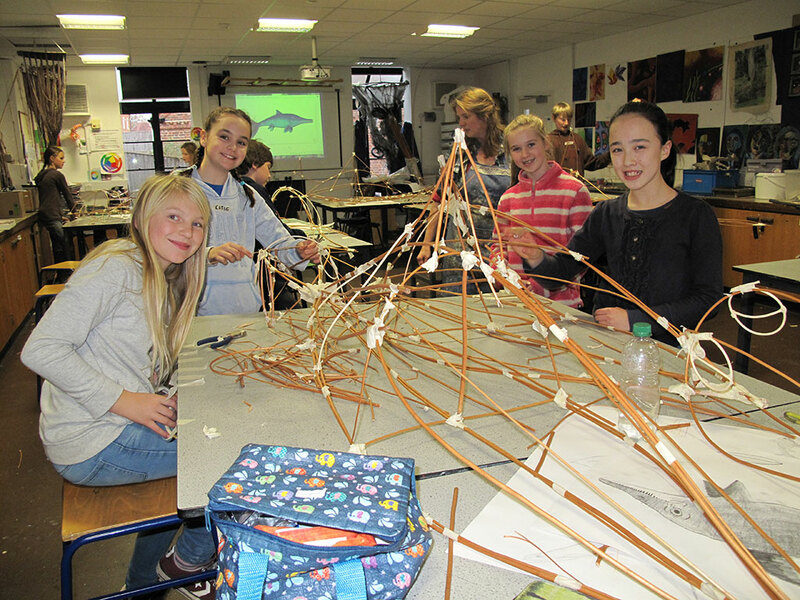 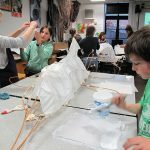 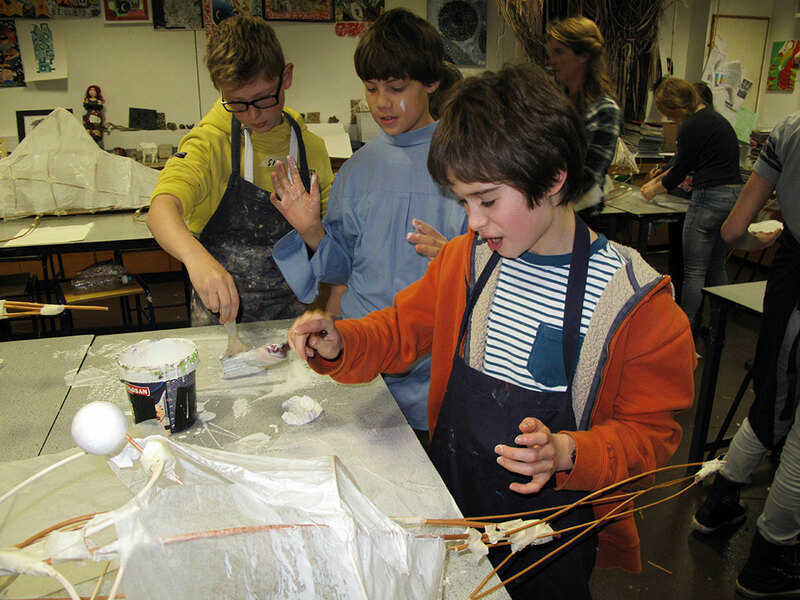 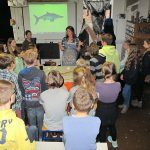 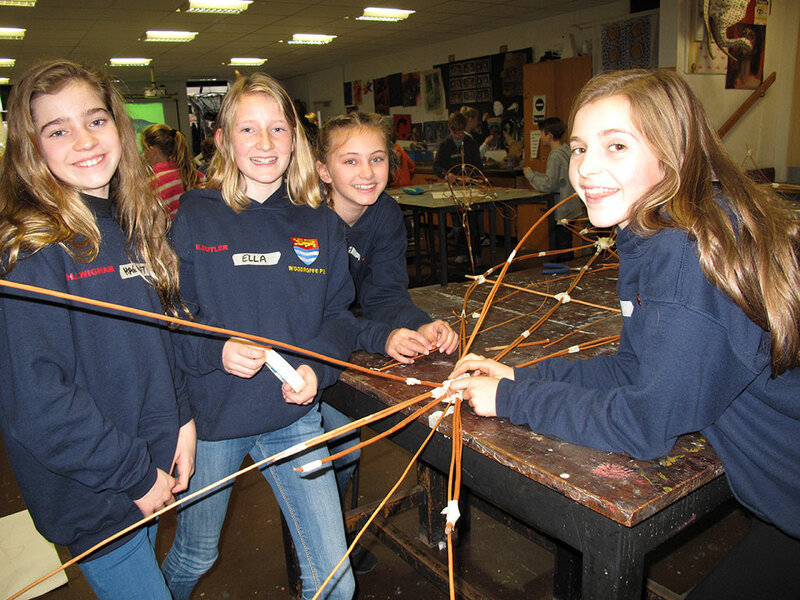 Sarah Butterworth then divided the students into small groups and instructed them how to make 6′ long Ichthyosaurs out of willow and tissue paper. 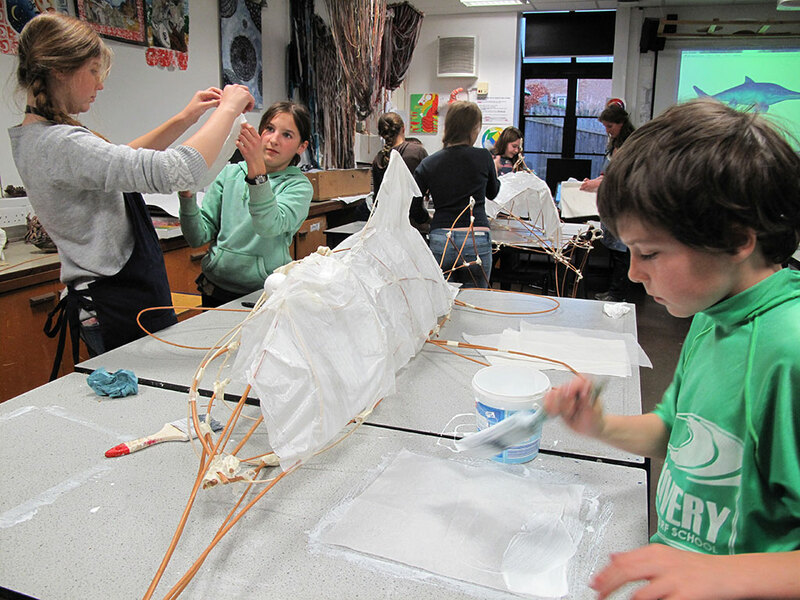 The sculptures will be finished over the next few weeks and we hope to be able to display them in school and the new educational wing of the museum.